SC upholds levy of additional fee under CF Act for appeals/revisions before Tribunals and Appellate authorities. The Supreme Court, in Cardamom Marketing Corporation & Anr. Vs. State Of Kerala & Ors. observed that providing social security to the legal profession becomes an essential part of any legal system which has to be effective, efficient and robust to enable it to provide necessary service to the consumers of justice. 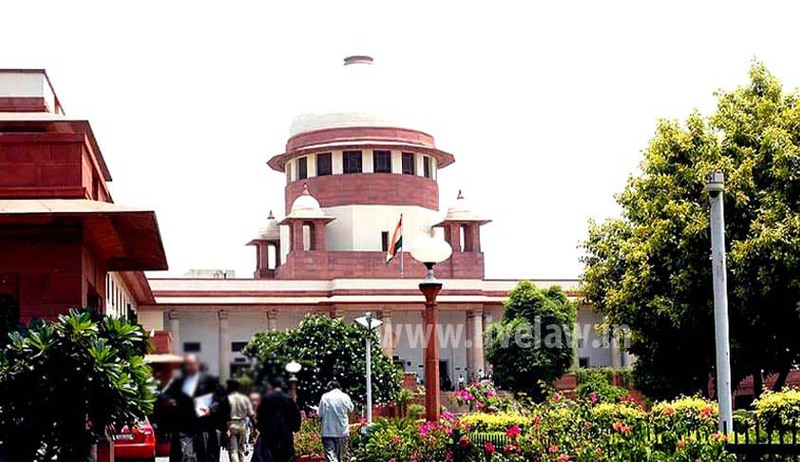 The Court has upheld levy of additional court fee in respect of each appeal or revision before the tribunals and appellate authorities by or under special or local law, at the rate of 0.5% of the amount involved in the dispute in cases, where it is capable of valuation, and at the rate of ₹50 in other. The Bench comprising Justice A.K. Sikri, Justice S.A. Bobde and Justice Ashok Bhushan also repelled the contention that such additional fee collected from the assessees is used for the benefit of the advocates and no benefit thereof accrues to the litigants, by observing that Section 76 of the CF Act and the impugned notification vide which additional court fee is imposed have a direct nexus to the objective sought to be achieved in relation to the service available to the appellants or others who approached the courts/tribunals for redressal of their grievances. The challenge was against the notification issued by the Government of Kerala in exercise of powers under Section 76(1) of the Kerala Court Fees and Suits Valuation Act, 1959, whereby the government authorised the tribunals and appellate authorities constituted by or under special or local law, other than civil and criminal courts, to levy additional court fee in respect of each appeal or revision at the rate of 0.5% of the amount involved in the dispute in cases where it is capable of valuation, and at the rate of ₹50 in other cases. This notification further provides that the amount so collected shall be credited to the Kerala Legal Benefit Fund constituted under sub-section (2) of Section 76 of the CF Act. Also, clause (e) of sub-section (2) of Section 3 that the amount set apart from the Legal Benefit Fund constituted under Section 76 of the CF Act is to be credited to the Advocates' Welfare Fund, for providing efficient legal services for the people of the State and social security measures for the legal profession. The crux of the contention of the appellants was that, since additional court fee collected from the assessees is used for the benefit of the advocates and no benefit, thereof, accrues to the litigants, charging of such additional court fee is clearly impermissible as it amounts to compulsory exaction of the money from the assessees in the name of court fee, without giving any corresponding benefit to them. Dismissing the writ petitions and the appeal, the court observed that providing social security to the legal profession becomes an essential part of any legal system which has to be effective, efficient and robust to enable it to provide necessary service to the consumers of justice.